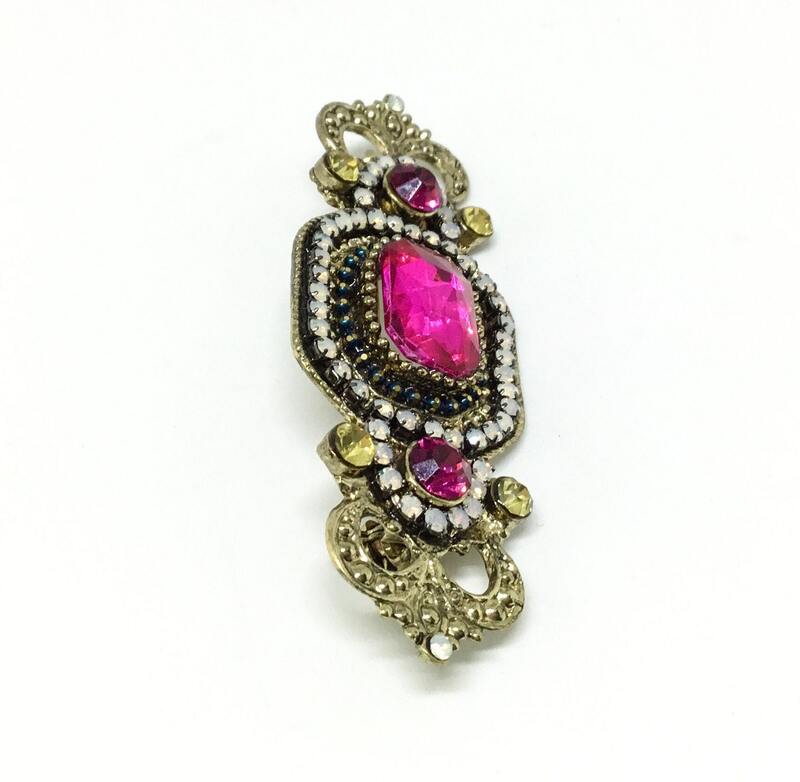 This is a vibrant fuchsia new vintage inspired wedding bar or sash pin. 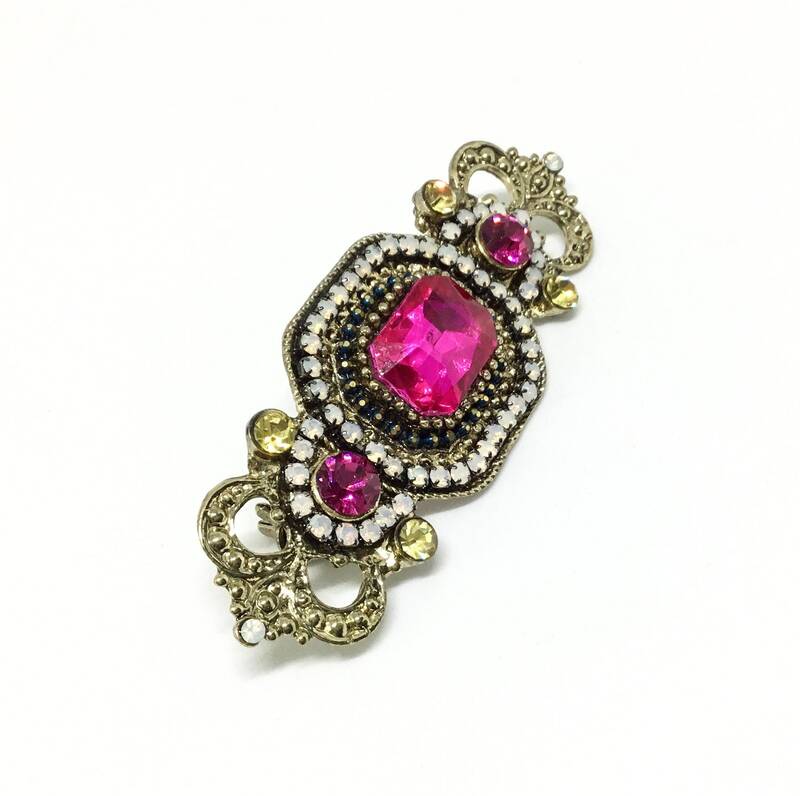 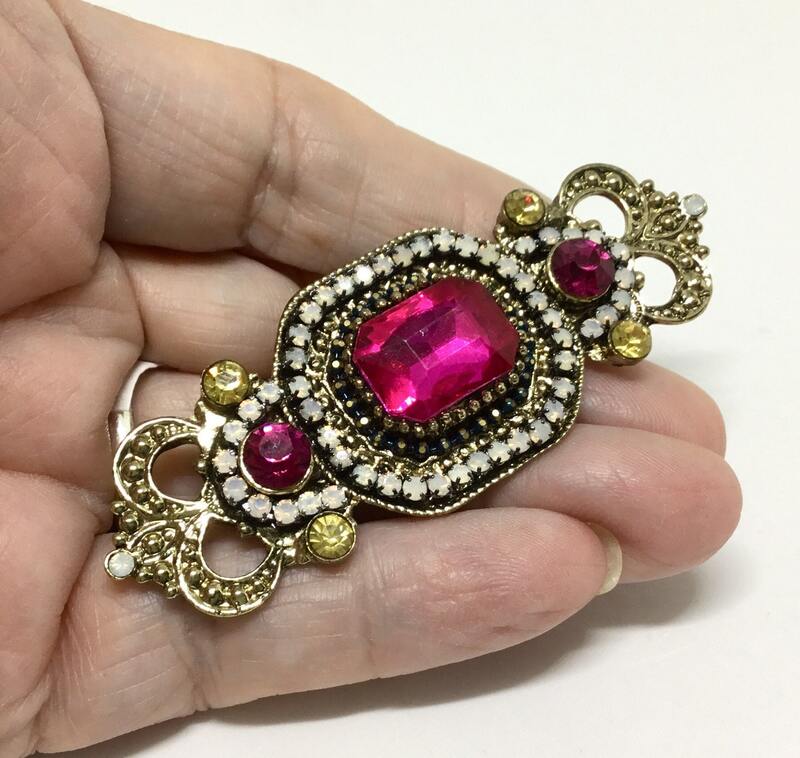 It is made with sparkly opalescent crystal rhinestones, yellow stones, and two small and one large faceted fuchsia center rhinestone. 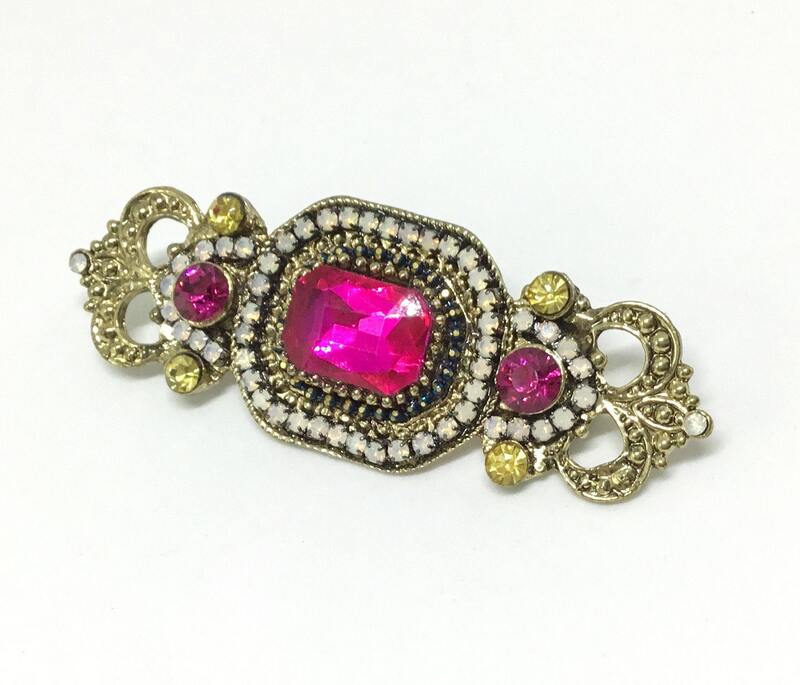 It measures 2 3/4” x 1” and comes with a pin on the back. 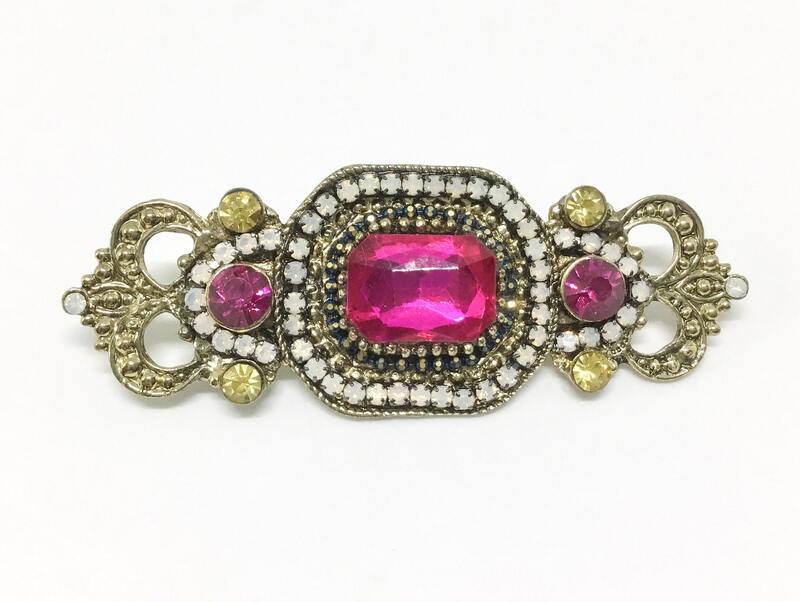 The bar pin can be used as a sash or accent on a dress, a wedding bouquet, a brooch picture, accent on a wedding cake, a hair decoration, or for any special project that could use a touch of bling!